The feature was first introduced in the company’s Teams collaboration app, and it’s finally made its way to Skype. I tested it with my colleague, and it worked as advertised, even in less-than-ideal lighting conditions. While on a call, hover your cursor over the video camera button at the bottom of your screen, and click the ‘Blur my background’ toggle to activate the feature. While on a call, right-click your camera feed at the top right corner of your screen, and click the ‘Blur my background’ option in the pop-up menu. 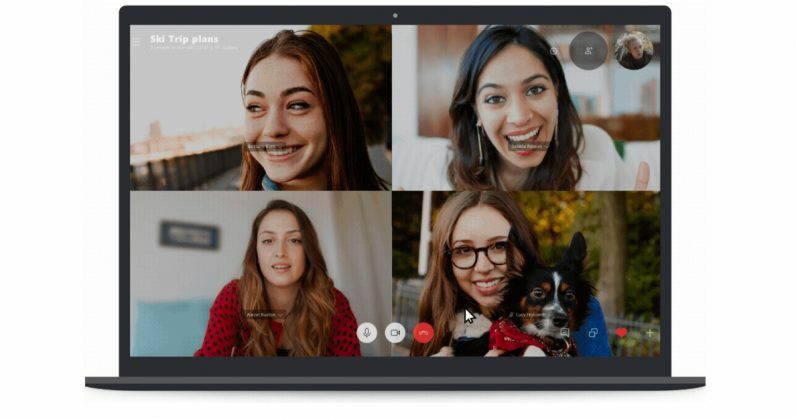 Start a video chat with any of your contacts. In the menu that pops up, click on the ‘Blur my background’ toggle to turn the feature on. Close the menu to return to your call with a blurred background. The blur feature uses AI to detect the edges of your face and body; while it works well enough, Microsoft says it can’t guarantee that your background will always be blurred. So if there’s anything behind you that you absolutely don’t want people to see on your call, you’ll want to get it out of the way to be sure. Oh, and you’ll need to update the app to the latest version to use it.